I’m sitting on around 100,000 US Airways miles, and I can always get more by transferring in SPG Starpoints at a rate of 20,000 Starpoints to 25,000 US Airways miles. If I do nothing more, my US Airways miles will be transferred 1:1 to my American Airlines account some time between April and June. I already took a minute to link my accounts to ensure a smooth transfer. You should too. But, before then, I can redeem US Airways miles on the US Airways chart, which is often cheaper than the American Airlines chart. Should I redeem my US Airways miles on the US Airways chart? What are the best US Airways award redemptions I can make before the US Airways and American Airlines programs combine? From the United States and from abroad. Here is the full US Airways chart. Below I’ve placed it alongside the American Airlines chart, so you can see where one is cheaper than the other. Keep in mind while looking at the charts that American Airlines has more partners than US Airways does–like non-alliance partners Etihad and Alaska. On the other hand, US Airways has more generous routing rules. You can fly west to India on a US Airways award for instance. Finally remember that while AA awards can be booked one way for half price, US Airways awards cannot be. All charts show the roundtrip price for awards in thousands of miles. Where American has off peak awards, it is always cheaper to use those than a US Airways award. 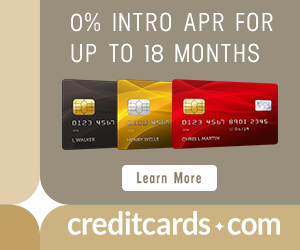 (The off peak domestic award is only available to AA cardholders.) Otherwise, the US Airways chart is generally cheaper. Here are some big differences. US Airways is way cheaper to Africa, though that isn’t super useful since oneworld has terrible options to Africa. US Airways is also notably cheaper to the Middle East, India, and Australia. For First Class awards, US Airways miles generally offer the cheaper price. The exception is to Southeast Asia in Cathay Pacific First Class–American Airlines miles are your best bet there. The first one is complicated, but very rewarding. You start your award in the Caribbean, Mexico, or Central America and fly home. (Obviously you got to the Caribbean, Mexico, or Central America on a separate or award or cash ticket.) You stopover at home and fly a true roundtrip (no open jaws) to Southeast Asia in First Class. Onto your return home, you add dummy legs that you don’t intend to fly that take you back to where the award started in the Caribbean, Mexico, or Central America. The dummy legs have to start within 24 hours of getting back home. This entire award–1.5 vacations–and a trip to Southeast Asia in First Class is 120,000 US Airways miles or 90,000 miles in Business Class. It might sound complicated, but it isn’t too tough to plan. Check out Anatomy of an Award: Southeast Asian and Mexican Vacations in Business Class for 90k US Airways Miles, 30k Arrival Miles, and Zero Cash for a full breakdown. This would cost 30,000 miles total. You could fly the whole thing or get off in Santiago to see four different cities on the award. Similar tricks would be available in each region. I haven’t decided whether I’ll book any awards with my US Airways miles or just let them roll over into American Airlines miles. You can book US Airways awards up to 11 months in advance, so right now you can lock in the cheap US Airways awards through January 2016. Thanks for taking time to compare the differences. I’d like to echo the 3 underpriced regions you mentioned, that it only costs 30k for business class. This is especially precious given that some of these airports are, let’s say less organized. Being able to have some privilege during departure and arrival makes a difference. Too bad us air is disappearing. Does the US Air 90k to Asia still work without the star alliance partners? neither us air or aa’s search works for SJD to BKK. Trying to get to Australia/NZ around the end of the year but there is not much on AA and thinking I might be able find a way from BKK to SYD. No stopovers are allowed on single region trips so how do you get a stopover in Lima? 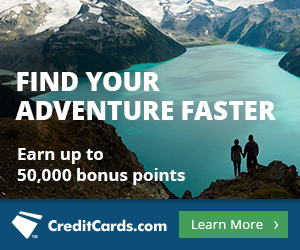 Don’t forget about the 5000 mile discount for US Airways cardholders. That makes it even more attractive to book some of these before the switch.